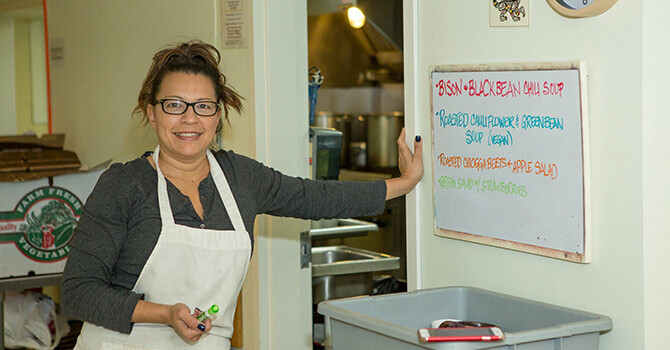 Don’t call First Nations Kitchen a soup line. Yes, it serves dinners to those who can’t afford them, but that’s where the similarity to traditional community food services ends. It is run by indigenous people for indigenous people and features a menu of the ancestral foods of indigenous people. Randy Johnson has been on both sides of the table. He regularly volunteers now to work at the Sunday evening dinners, but he’s also been on the receiving end of the transaction. Located in All Saints Episcopal Indian Mission in the Little Earth of United Tribes neighborhood in Minneapolis -- the largest Native American urban community in the United States -- First Nations Kitchen provides healthy, organic, made-from-scratch meals of traditional Native American foods. Hamburger casserole? Sure, that would be inexpensive and easy, but you won’t find it here. This menu includes entrees such as buffalo, wild rice, elk, fish, venison and turkey. And they’re served with fresh vegetables, many of them coming from neighborhood gardens, including one run by the church. 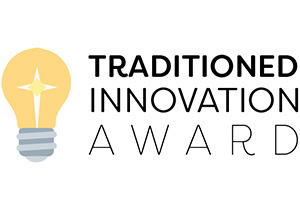 Are there traditions that your organization could revive or return to in its work? If First Nations Kitchen isn’t the only one of its kind in the United States, it’s on a very, very short list. When he was installed as vicar at the Minneapolis church 11 years ago, he learned that the congregation had tried several times to start a soup kitchen but, for various reasons, without success. Nonetheless, they weren’t about to give up. They wanted Two Bulls to help them try again. “My immediate thought was that this vision of the people of All Saints was a call from God,” he wrote on the Episcopal Church website later. But as the vision developed under Two Bulls’ guidance, it went well beyond the standard meal service. Two Bulls wanted to do more than just fill up people with whatever food he could track down. “I started my ministry in Los Angeles, and I volunteered in a Skid Row soup kitchen there,” Two Bulls said. “When I moved to [Washington,] D.C., I worked in a soup kitchen there, too.” He got some ideas along the way about how he would do things differently if given the chance, he said. When newcomers visit the kitchen, they’re often surprised by what’s available -- and what’s not. There’s no beef, pork or chicken. “There were no cows, no pigs, no chickens” in the ancestors’ days, Two Bulls explained. Volunteers Kathy Ericson and Kay'Denze Farrier sort beans for guests to bring home after their meal. In addition to being a function of the larger organic movement, this interest in traditional foods has an important cultural element. Native Americans’ diets worsened when the tribes were forced onto reservations, and their health began to deteriorate accordingly. Rates of obesity and diabetes in the Native American population have skyrocketed -- to roughly twice what they are in the general population, according to the Centers for Disease Control and Prevention -- and life expectancy lags behind that of other groups by as much as 20 percent. As a result, there is a growing sense among Native Americans that the route to better health lies in returning to their roots. Two Bulls knew that the process of setting up the hunger ministry wouldn’t be easy or quick -- and it wasn’t. He spent two years raising money and sourcing organic suppliers. He was able to build on some of the groundwork that had already been laid, such as the renovation of the kitchen to meet city food service codes. Does your organization have the patience to plan major innovations? Over time, Two Bulls was able to talk local co-ops into donating organic fruits, vegetables and dairy products. He struck deals with the tribes in Minnesota for purchasing the natural wild rice that they harvest. And he found enough donors to be able to secure contracts with local farmers who eschew pesticides, genetically modified organisms and growth hormones. But there was one last challenge. His church draws about 30 regular worshippers. Making a multicourse meal from scratch would require a vast volunteer staff to tackle several hours of prep work in addition to serving the food and then cleaning up. And they wanted to do it every Sunday evening. Koert Evink and Kathy Ericson prepare vegetables on a Sunday afternoon. To do so, he and his wife, Ritchie -- an art therapist by day who until recently served as the ministry’s program director -- assembled an army of volunteers. Some show up alone or in pairs. Others come in groups from all across the metro area. Sister Episcopal churches send strong support, but volunteers also come from a wide array of denominations and organizations. “First Nations Kitchen is unquestionably a missional innovation partnership: faith communities, community partners and others collaborating to engage God’s mission,” said the Rt. Rev. Brian Prior, the bishop of the Episcopal Church in Minnesota. The volunteers have one thing in common: they believe in the need for First Nations Kitchen as much as Two Bulls does. “We tend to forget that for some people, food is a luxury,” said the Rev. Riz Prakasim on a recent Sunday evening as he prepared to start a shift as a dishwasher. He and a dozen members of his suburban congregation, New Life Presbyterian, had carpooled into the city to help, just as they’ve been doing every few weeks for two years. Who shares your vision and would be willing to help execute it? Officially, 655 people -- slightly more than half of them children -- live in the 9-acre Little Earth neighborhood. Unofficially, the city estimates, the population varies between 1,200 and 1,500. Only a handful of the households earn more than $10,000 a year. Chanel Wall was quick to answer Prakasim’s call for people to step forward. In fact, she likes it so much that sometimes she’s slow to leave. The volunteers are split into two shifts; half come in at 1:30 p.m. and spend the afternoon preparing the food, while the rest arrive at 5 p.m. to serve the meal and then clean up. Wall had been part of that day’s first shift, but it was well into the meal service, and she was still on duty. 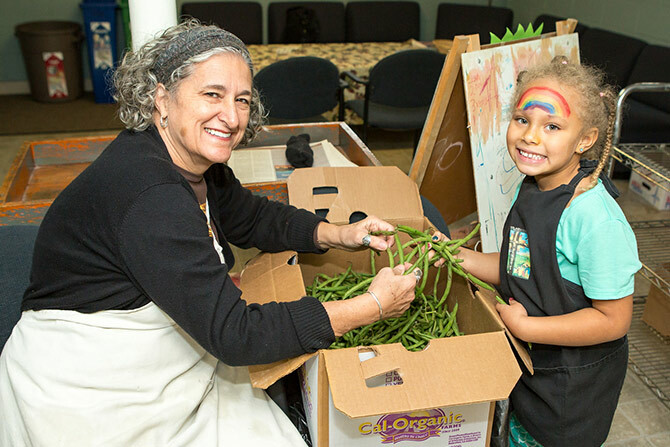 Serving fresh, healthy, indigenous food is just part of what makes this ministry unique. The hungry people lined up outside the church are referred to as “guests” and are treated accordingly. The common soup kitchen format -- take a tray and queue up along a serving line -- isn’t the practice here. The guests -- who don’t have to be Native American, and many of them are not -- are shown to a spot at one of the long tables that fill the church basement. Servers approach them, outline the evening’s menu, take their orders and then bring them the plates of food. When the guests have finished eating, other volunteers bus their dishes. Cindy Chen-Derkacz writes the menu for the guests who will be arriving later in the day. The menu changes depending on what's fresh and available. All who ask can take servings of the food with them packed in cardboard to-go boxes (no foam containers in this socially conscious operation). Some of the guests leave with multiple packages. “We shoot for [making] twice as many meals as we have people show up,” Two Bulls said. And if there’s still food left over after that, it’s donated to other organizations the next day. Two Bulls spends his Sunday afternoons cooking -- “all trial-and-error” is how he describes his training. He learned by watching his father and other tribal elders as they cooked for groups on the Pine Ridge Reservation in South Dakota, where he grew up. When the cooking is done, Two Bulls comes out of the kitchen to drift through the room, stopping to talk with the guests. The interactions involve everything from a short “How you doing?” to a serious sit-down conversation. It’s part of the operation’s focus on self-esteem. Are there ways you could change your systems to afford people more respect? The guests aren’t the only ones to benefit from the interaction. The volunteers who come from outside the neighborhood also have a chance to widen their perspective. There was plenty of time to chat on a recent Sunday evening, when the menu included fry bread. It’s a traditional food of Southwestern tribes, but it’s extremely popular in the northern part of the country, too, as the reaction among the diners clearly showed. No one was in a hurry to leave. “The nights we serve fry bread, they eat until it’s gone,” server Corby Roberson said. Fry bread is made from a thin dough leavened with baking soda and deep-fried in lard. Resembling a flatbread pizza in both appearance and size, it can be eaten alone or with toppings. On this night, Two Bulls also fried up some ground buffalo, which was served on the bread along with chopped vegetables and tomatoes. “It’s an Indian taco,” he said. The respect shown to the guests is returned by them. There has never been a problem with one of the diners. First Nations Kitchen has grown steadily over the years, assisted by annual fundraisers. “There are people who believe in this mission,” Two Bulls said. A few months ago, the ministry team was even able to hire a part-time program director. Two Bulls is happy about that, not only because it has freed up time for his wife, but also because it shows that the program is gaining autonomy. Two Bulls has no immediate plans to leave All Saints, but at 54, he also doesn’t think that he’ll spend the rest of his career there. And he’s encouraged to know that when the day does come for him to go, First Nations Kitchen will be well equipped to carry on. 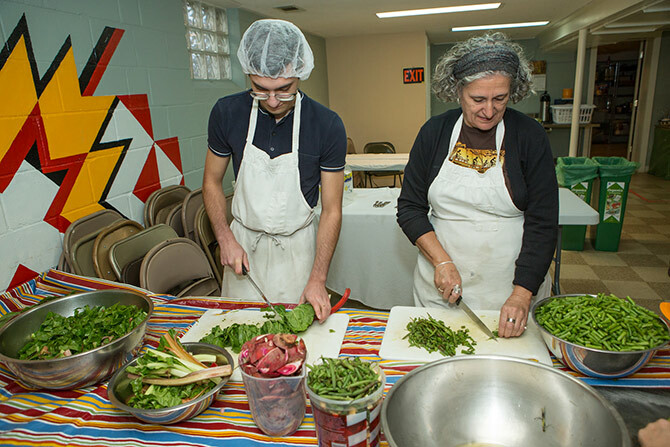 First Nations Kitchen emphasizes ancestral Native American foods in its hunger ministry. Are there traditions that your organization could revive or return to in its work? It took two years to set up First Nations Kitchen. Does your organization have the patience to plan major innovations? Once the program was created, volunteers were eager to take part. Who shares your vision and would be willing to help execute it? The serving format is designed around the dignity of the guests, not the convenience of the institution. Are there ways you could change your systems to afford people more respect?